Worrying news has emerged from a new piece of research; sea levels are now forecast to rise over a metre during the upcoming century. This is more than double the previous estimate, and will need drastic action to prevent a global catastrophe caused by the increased water levels. The research was carried out by scientists at the University of Massachusetts Amherst and Pennsylvania State University. The news will be terrifying to low laying islands, such as the Maldives, who are already predicting a relatively minor rise in sea levels could possibly wipe them off the map entirely. It is claimed that scientists have underestimated the how atmospheric global warming has effected Antarctic ice sheets. Research has previously concentrated on increasing global temperature’s role in warming the water than increasing the air temperature. 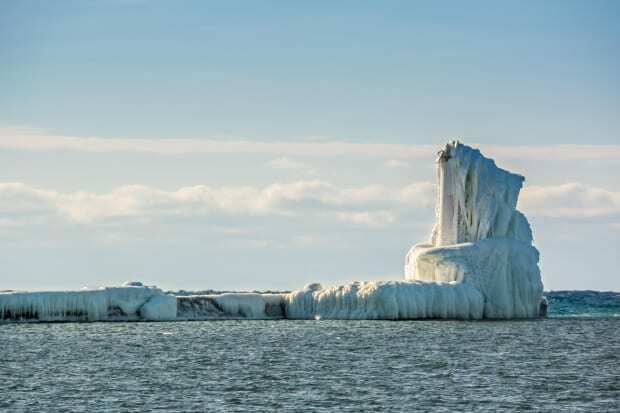 It is now thought that the atmospheric temperature will have a greater effect on water level as the melting ice, that will raise sea level, is situated on land rather that in open water. The Antarctic is the main contributor to sea level rise as much of its ice sits on the ground. Floating ice, like that of the Arctic Ocean, is already in the water and if it melts does not raise the sea level. The sea level could rise by as much as 15 metres by 2500 unless greenhouse gases are significantly curbed as the melting Antarctic ice sheet massively increases the volume of water in the ocean. Future generations may live in a very different world compared to the one we inhabit today.